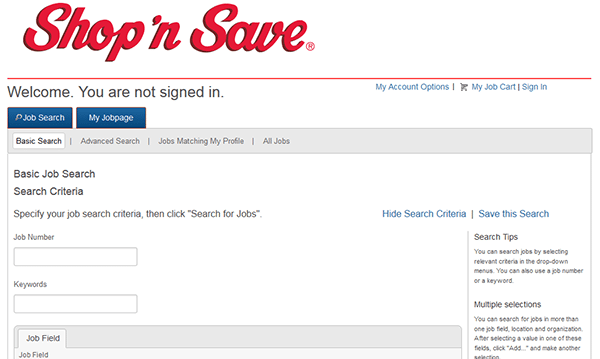 The Shop ‘n Save job application can be found on the company’s main employment site. Use the links/buttons provided on this page to go directly to the company’s careers page. Once you’re on the careers page you will be able to search the list of current openings, create a job portal account, and submit applications for positions that you are interested in. The guide posted below provides a general overview of the company’s online application process. About the Company: Shop ‘n Save is an American chain of grocery stores based out of Kirkwood, Missouri. The company was founded in 1979 and operates more than 40 locations throughout the State of Missouri. Shop ‘n Save is a subsidiary of SuperValu. 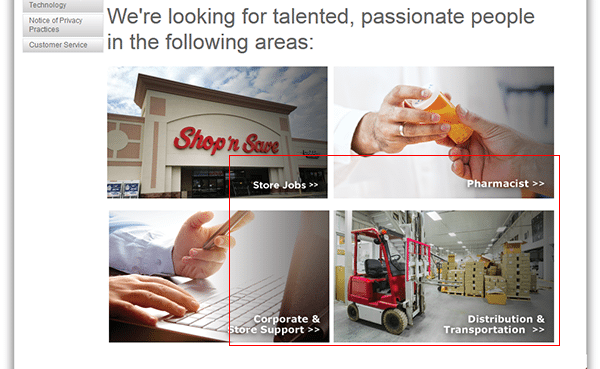 Step 1 – Go to the company’s main careers page by clicking on this link. Note: The above link will load the careers page in a separate browser window/tab. If you want to go directly to the company’s careers page (in your current window/tab) simply press the button near the top of this page. Step 2 – Scroll down the page and select which type of job you’re interested in (retail, pharmacy, distribution/transport, corporate/support). Step 3 – Select a job field from the first drop-down list and a location from the second drop-down list. Click the “Search” button to update the list of current job openings. Step 4 – Scroll down the page to view the list of current openings. Press the link/title of the job that you’re interested in applying for. 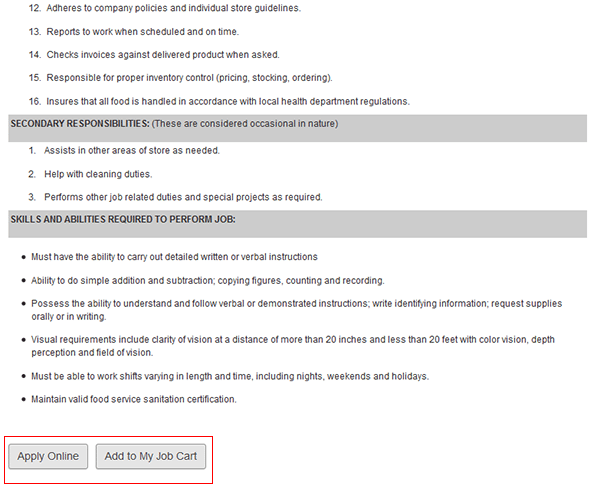 Step 5 – Review the job description and then click the button as outlined in red in the below screenshot to go to the next step of the process. 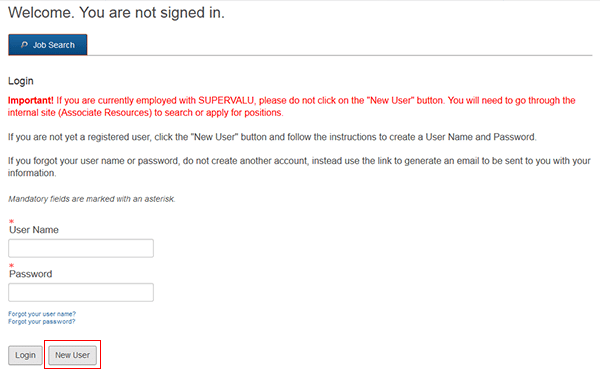 Step 6 – Press the “New User” button below the sign-in form to go to the account creation page. Step 7 – Accept the privacy agreement. Step 9 – After you have created your account you will be able to start filling out the main application form.